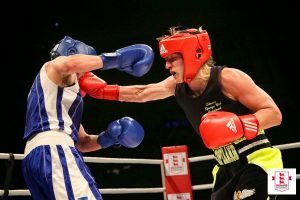 Manchester Thunder are hoping to step into the ring and gain winning inspiration from a World Champion boxer Terry Flanagan. 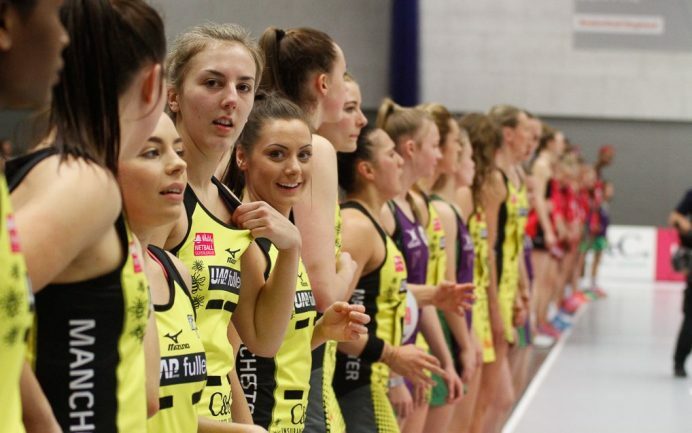 Netball and boxing may be different sports, but Thunder have a real fight on their hands when they play a Superleague match at Manchester Arena next month- something Flanagan knows all about. The 27-year-old retained his world title at the very venue and has fought there on a number of occasions. The Manchester southpaw is former WBO lightweight champion (2015-17), and the first Englishman to win a world title in that weight class. He is also unbeaten in 33 professional fights. He will be meeting Thunder players to show them his belts and share tips on training and how he became – and still is – a winner. Joining Flanagan will be inspirational Hyde fighter Stacey Copeland, who is also an advocate for women’s sport and a popular community ambassador. Director of Netball Karen Greig will join her Black and Yellows players at Oldham Boxing as coach Eric Noi shows them the ropes. Manchester Thunder managing director Debbie Hallas said: “We can’t wait to meet Terry and hear all about what it takes to be a boxer of his standard. “He’s unbeaten as a professional, so that takes incredible fitness and mental strength, and we can learn a lot from that. “Stacey is a brilliant spokeswoman for women’s sport – and a dedicated athlete, too. 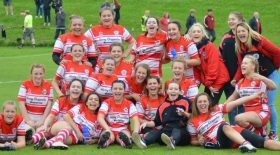 “Our players are always open to trying different sports, following their training session with rugby league Wigan Warriors earlier in the season. 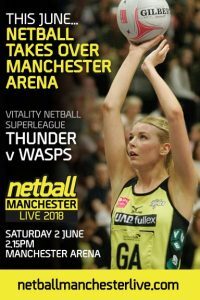 The session will also be used to film scenes for a promotional video ahead of Netball Manchester Live, where Thunder host defending champions Wasps at on the city’s biggest stage, Manchester Arena on Saturday, June 2.